The following families have genealogy eBooks on this page: Banges, Bard, Bolles, Bradley, Cary, Dexter, Hildreth, Jodrell, O'Meagher, Seaton, Shields, Stewart, Thacher, Thistlethwaite, Way and Wentworth. Welcome to Bookshelf 9 at Hawkeyes Trading Post! Edward Banges History and Genealogy or Edward Banges the Pilgrim. PDF eBook English 1.07 MB. 1915. 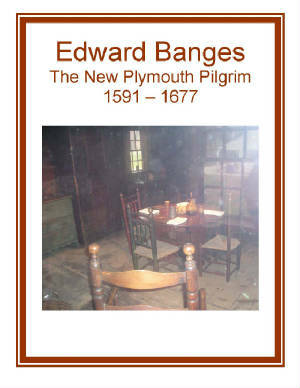 This 18 page book provides the authentic story of the life of Edward Banges who lived from about 1591 to 1677. He was a Pilgrim, and his story begins with the arrival of the third expedition to New Plymouth in 1623. This fascinating story surrounds early colonial life in the American colonies, and also provides the legend of the family name in England dating back to the year 1297. Filed with a treasure of information, if you are a Banges or Bangs family member this family genealogy is for you! Price $6.95 USD. Bolles Family History and Genealogy or Genealogy of the Bolles Family in America. PDF eBook English 7.17 MB. 1865. This family history includes the name origin which dates back to the year 1216. Short biographies, poetry, and an excellent index with hundreds of alphabetized family members span the centuries from 1640 to the year 1860. 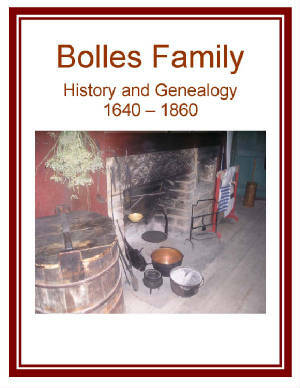 This eBook is a wealth of knowledge for anyone interested in the Bolles Family genealogy! Price $6.95 USD. Cary Family History and Genealogy or The Cary Family in America. PDF eBook English 6.58 MB. 1907. The Cary family in ancient England is recounted in this outstanding publication, along with many rare ancestral photographs! In the American Colonies… land was obtained from a Native American deed to the family, which is detailed in this eBook. Stretching from the year 1170 to about 1829, there is documentation of Cary forefathers for a period of over 650 years! Great information on one of Americans long standing Colonial families! Price $6.95 USD. 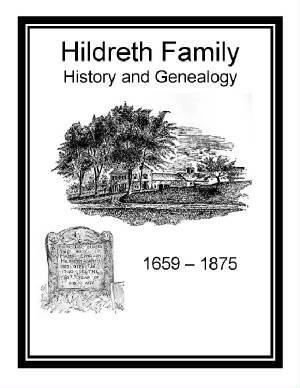 Hildreth Family History and Genealogy or the Origin and Genealogy of the Hildreth Family. PDF eBook English 5.47 MB. 1892. Family stories, with many of them being war stories involving family members, are documented from the year 1659 to 1875 in this extraordinary eBook. There are also hand written documents from the 1700s, from several family members, that can open the door back into time! 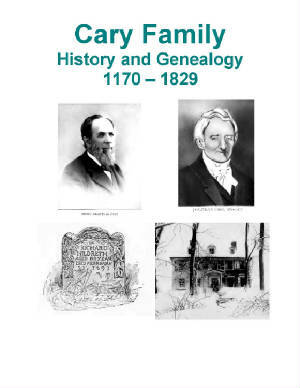 A great resource for Hildreth family genealogists! Price $6.95 USD. 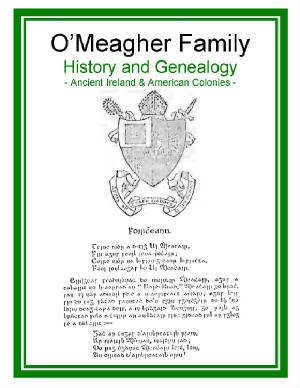 O’Meagher Family History and Genealogy or Some Historical Notices of the O’Meagers of Ikerrin, Ireland. PDF eBook English 17.8 MB. 1890. The history of the O’Meagher Sept from the 3rd century, A.D.; the times of St. Patrick, St. Columba, and St. Machar; through the Danes, Normans and Saxons; the wars of the Confederation and of O’Neill; their military services in Europe through the ages, and in the American New World! The pedigree in the Royal Irish Academy was compiled in 1664. The text is very readable, but the illustrations have faded with time on the acid based paper of the hard bound publication. A 10 page index of nearly a thousand names, with lineage back to Oiliol Olum King of Munster from 212-234 A.D. An abundance of information for anyone with the O’Meagher family name anywhere in the world! Price $6.95 USD. 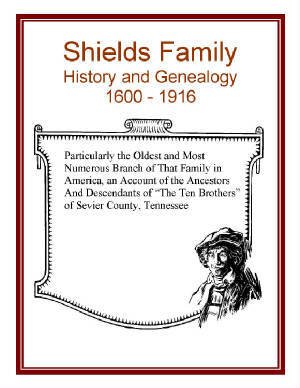 Shields Family History and Genealogy or An Account of the Ten Brothers of Sevier County Tennessee. PDF eBook English 7.59 MB. 1915. The legend of the family name, in both Ireland and Scandinavia, is narrated in this noteworthy eBook. Painstakingly hand typed on an old Remington manual typewriter, the early accounts of many conflicts in the Tennessee wilderness with Native Americans are described! A rich source of family genealogy with essential dates for ancestors that lived from 1600 to 1916! Price $6.95 USD. Thacher Family History and Genealogy. PDF eBook English 21.1 MB. 1910. 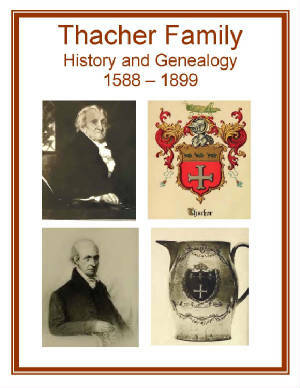 This excellent eBook contains many biographies, 7 generations of descendants, numerous rare ancestral photographs, and the documentation for the Grant of Arms to the Thacher family! Over 300 years of essential dates for Thacher ancestors are compiled, which range from the year 1588 to 1899! A great source of information for anyone interested in the Thacher family tree! Price $6.95 USD. 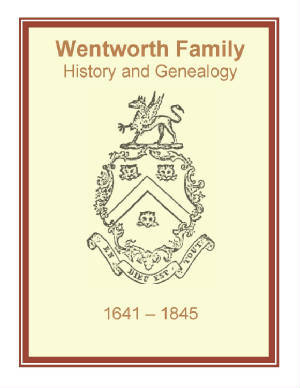 Wentworth Family History and Genealogy or A Genealogical and Biographical account of the descendants of Elder William Wentworth. PDF eBook English 1.76. MB. 1850. A superb reference with fascinating biographies published prior to the American States (Civil) War. This antebellum eBook provides compiled statistics for family members stretching from 1641 to the year 1845. A period of over 200 years! A great reference for one of Americas long standing Colonial families! Price $6.95 USD. Bard Family History and Genealogy. PDF eBook English 28.3 MB. 1908. The Bard family history in the British Isles is chronicled in this remarkable publication, which also details the Scottish origins dating back to the 13th century. Essential dates for the compiled Bard lineage extend from the year 1675 to 1900. 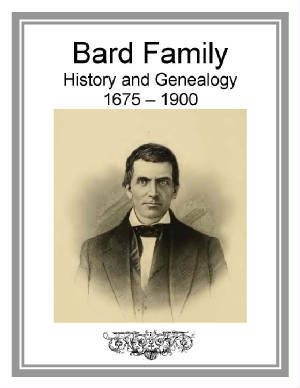 There is an index of 24 pages which includes Bard family members and the in-law families of Potter, Poe, Cochran, McFarland, Parker, Smith, and Little. A wonderful resource for the family genealogist! Price $6.95 USD. 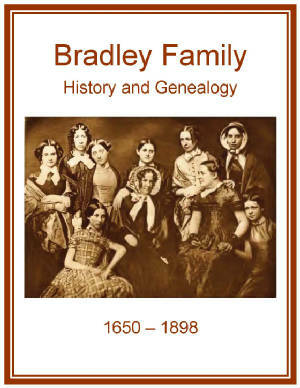 Bradley Family History and Genealogy or Descendants of Isaac Bradley of Branford. PDF eBook English 6.41 MB. 1915. The Bradley family history begins with a legend of Anglo Saxon origins from around the year 1193. Essential dates are given for Bradley ancestors that span the years from 1650 to 1898. An index of over a thousand names of Bradley kindred is also found in this essential resource of genealogy for all family members! Price $6.95 USD. Dexter Family History and Genealogy. PDF eBook English 13.1 MB. 1904. Short biographies with a lineage of 9 generations are compiled in this eBook of Dexter family genealogy. The legend of the family name dates back to the year 1269 in the bygone days of old Ireland! Essential dates of Dexter family members are compiled from the year 1642 up to 1904. 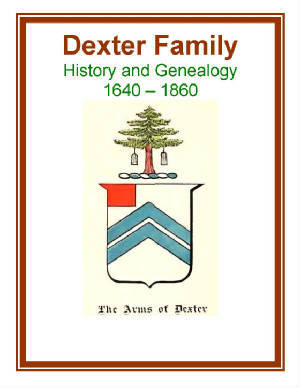 This eBook is a great resource of genealogy for the Dexter family! Price $6.95 USD. Jodrell Family History and Genealogy or Genealogical Memoranda relating to the Family of Jodrell. PDF eBook English 1.44 MB. 1897. An outstanding reference for any Jodrell Family member, or researcher, with documentation stretching from 1594 to 1890! A period of nearly 300 years! Many silhouettes of family members, a diagram of the family vault with the physical location, and the story behind the family Coat of Arms with a detailed narrative of the actual Grant of Arms itself! 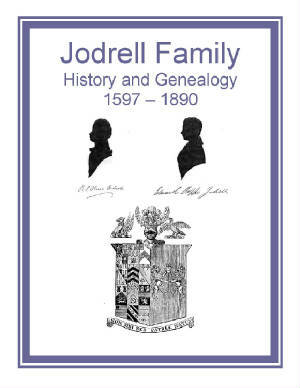 This is fascinating information for anyone interested in the ancient history and genealogy of the Jodrell family! Price $6.95 USD. 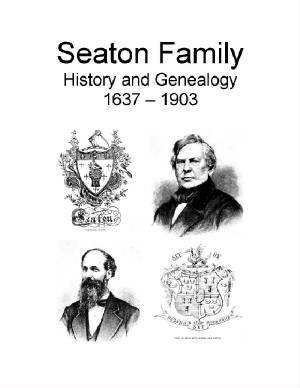 Seaton Family History and Genealogy or The Seaton Family with genealogy and biographies. PDF eBook English 26.5 MB. 1906. This eBook details the legend of the Seaton family name which comes from 12th century Scotland! Also, there are dozens of rare ancestral photographs, the Coat of Arms with narrative, castle etchings, tombstone photographs, and a 44 page index of thousands of family members giving details from the year 1637 to 1903! A wealth of information for the family genealogist! Price $6.95 USD. 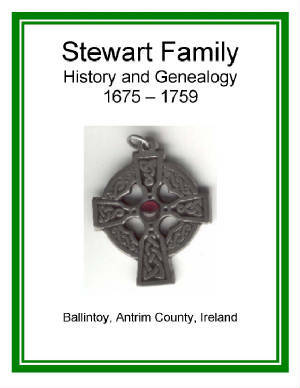 Stewart Family History and Genealogy or The Stewarts of Ballintoy. PDF eBook English 4.40 MB. 1865. The Stewart Family legend dates back to the year 1050 along the Northern Irish coast in the County of Antrim. This delightful family history includes details on the duties and taxes paid to the Crown in the early 1700s by family members. Although some of the pages of the book are faded with time, they are still readable and provide essential family genealogy for the years 1662 to about 1759. Price $6.95 USD. 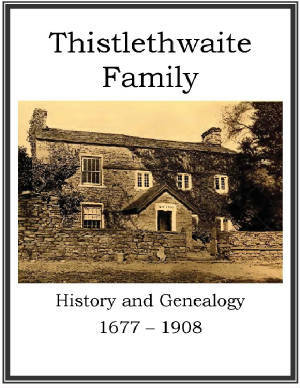 Thistlethwaite Family History and Genealogy. PDF eBook English 18.2 MB Year 1910. It is thought that William Thistlethwaite restored the family home of Harborgill in Yorkshire, England in 1700, which is the cover photograph. This eBook provides over 1800 descendants in England and the U.S.A. with essential dates ranging over 230 years from 1677 to 1908. A bit of poetry, great stories, biographies, and over 19 pedigree charts span this remarkable genealogy of a family whose members were in the Society of Friends. Price $6.95 USD. 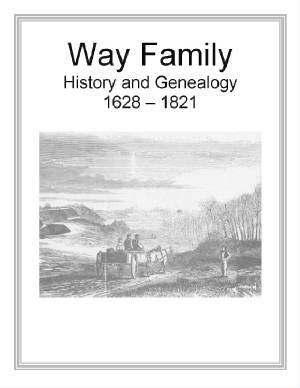 Way Family History and Genealogy or George Way and his Descendants. PDF eBook English 1.07 MB. 1887. Early family legends can be found in this eBook, one of which is that of Henry Way born about 1583. Short biographies, copies of Land Deeds, and early Penobscot Grants are referenced. There are 4 generations of descendants compiled with essential dates that span the years from 1628 to 1821. This great resource may feature rare genealogical information not found elsewhere! Price $6.95 USD.